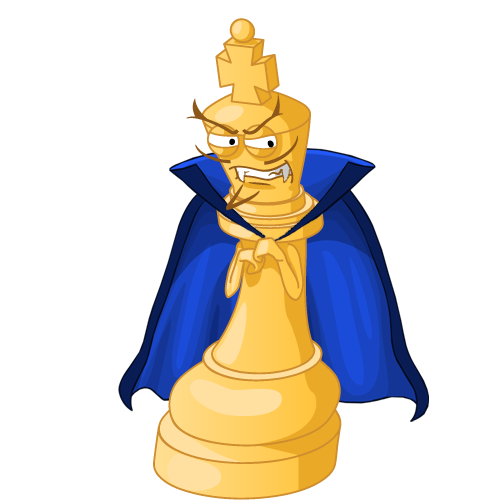 First of all…………..the bad news…………..no chess Club this Saturday as some or many of our Club are playing in the Drogheda Congress this weekend………even the Mad Bad Dinosaur. The Good news is that Blanchardstown A & Blanchardstown B played a couple of matches last Saturday. With Communions and Community Games Finals, both teams were depleted, but never fear, Leinster leaguers, the matches will be completed shortly…..9th June is the intended date. We are hoping to run through the summer to try and catch up on our delayed start as opposed to the other teams, but you know, this is about introducing youngsters to the game and having Fun………lots of it!!! 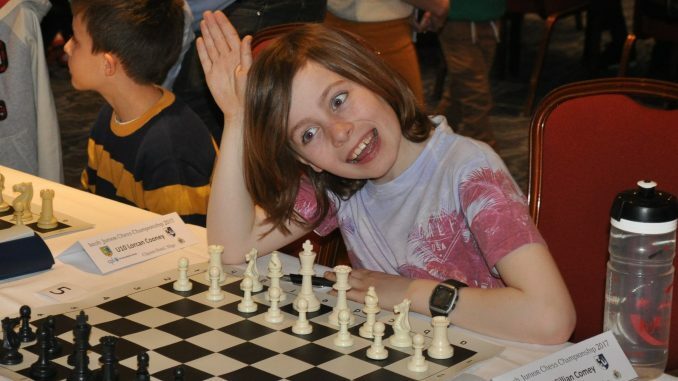 Board 1 saw Aishling Lynch lose out in a great game to Alex Borden, whilst on board 4, Emily Ghukasyan evened up the score against young Daniel Carsten. Currently the score is tied at 1-1. A fine performance from all concerned, and thanks to Sean for being the main Organiser. Due to the reality of having a small girls squad, we are allowing the boys to join the A team, but the proviso is that the girls will be offered a chance to play first, and if they can’t make a match, then the numbers will be supplemented with the boys. It is unlikely that any child will be able to play every game due to family commitments/travel/school/other activities. So far, the A team consists of Aishling Lynch, Emily Ghukasyan, Emilliana Baczkowski, Amelie Bell, Euan Bell, Sargis Ghukasyan. There is a girl called Mairead who has expressed a keen interest in playing, but presently, I have no other details about her. You can contact me on 085 816 5337 or via this web-page. I will also write about the B team unless someone else pens in their exploits.